Shutter Island was 1st published in 2003. I was sent this book by the ALOP team, via Homeshop 18. 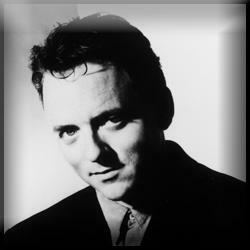 About the author: A native of Dorchester, Massachusetts, Dennis Lehane lives in the Boston area. His book 'A Drink Before the War' won the Shamus Award for Best First Novel. He is the author of New York Times bestseller Mystic River, which was made into a film in 2003, directed by Clint Eastwood; it starred Sean Penn, Tim Robbins, and Kevin Bacon. The novel itself was a finalist for the PEN/Winship Award and won the Anthony Award and the Barry Award for Best Novel, the Massachusetts Book Award in Fiction, and France's Prix Mystère de la Critique. The thin line between dreams and reality becomes negligible, when you can barely tell them apart. They say depression is so easy to fall into. Madness is even more alluring. How can you be sure that what you are seeing is real? Everyone has their own version of the truth, depending upon what they choose to believe in. And the mind can play funny games. If you let it happen, this book can make you question your own notion of truth and reality. This is one of those stories that are so awe-inspiring that no matter how well you try to express yourself, you’ll always fall short of words. The novel is set in a span of four days, each more sinister and haunting than the last. The dreams, the action, the setting- each will leave your gut clenching with dread. The chilling images can get stuck to your eyelids like a nightmare that would not go away. I finished this book in a very short period of time and it’s been on my mind for days. 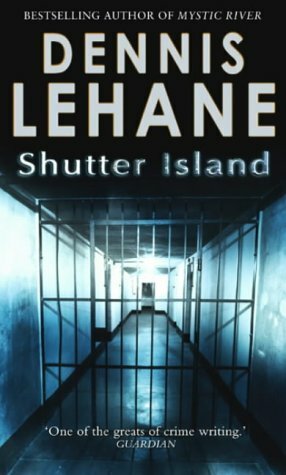 I knew the truth about the protagonist before I read the book- but the labyrinthine plot and mind-boggling twists left me thoroughly perplexed towards the end, and completely unsure about what to believe. If you ask me, that’s what sets an author apart: his ability to rope you in so well that you’ll enjoy reading the book even if you know the story. If it’s supernatural, you can still convince yourself it’s not real and probably won’t ever happen. But science can scare you in a way nothing else can. I suggest you read this book only if you can handle it. That does sound unnerving...but still alluring! Hahaha...it sure is! ;) Where do you live, by the way? Shouldn't I be more careful online?! will you believe me if i told u i haven't completed the movie too?? As soon as i heard there's a book, i walked out on the movie. Book first, movie later. Now it seems you've forced my hand. Need to get my hands on it. @tal hahaha dropping hints?? you need to drop hints to the head admin i think. Even i dint watch the movie coz i would then never read this. @Arpita : wen are we meeting dear ?? I need this book from you ! @FL- hahaha..yeah, even i didn't watch the movie because i wanted to read the book first. i just found out about teddy because of all the gossip, and i was still so confused at the end. i knew about the book before the movie was released 'cuz i had read mystic river back in school. and NOW i got to read this- even though u guys sent it to me in march! i guess there's always a right time for reading a book. *sighs* it was so good, PLEASE get it asap. ur gonnna LOVE it!